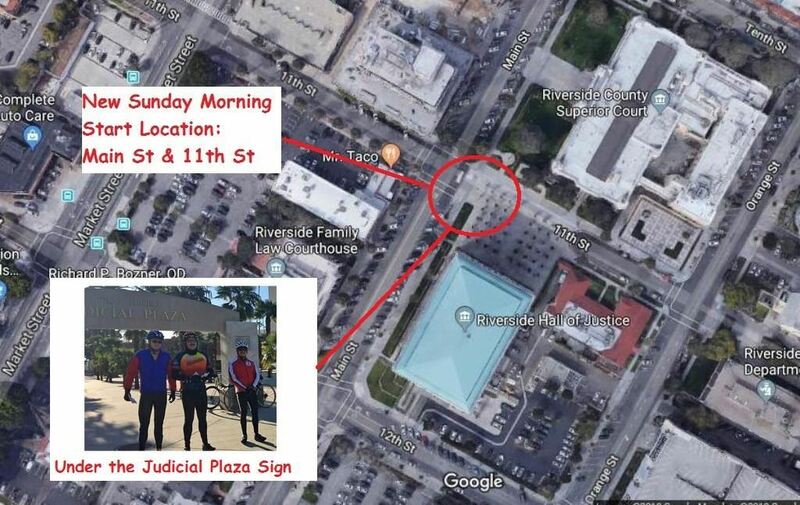 For the Sunday morning club rides, we usually park in front of the old court house downtown Riverside. It's near Main St. & 11th St. We arrive there about 20 minutes before the ride starts. That leaves plenty of time to get you and your bike ready for the ride. We all gather and listen to club announcements plus each ride leader describe the routes for the day. All groups leave from this location downtown, unless otherwise stated. After returning from the day's ride, some will stay and enjoy group conversation and lunch at the local eateries.